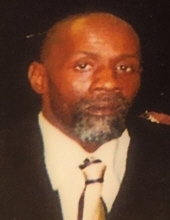 Patrick Haynes, 60, (born June 23,1958) passed away on April 7, 2019 in Lufkin, TX. Graveside services will be Saturday April 13, 2019 at 12:00 noon at Forest Lawn Cemetery Crockett, TX. "Email Address" would like to share the life celebration of Patrick Haynes. Click on the "link" to go to share a favorite memory or leave a condolence message for the family.